CooksRecipes special collection of family-favorite recipes for beverages that you can count on for successful deliciousness. 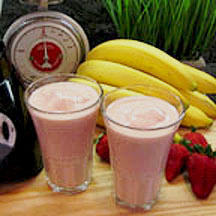 This fruit and yogurt smoothie is a wonderful way to start your day or simply serve as a healthy treat anytime. 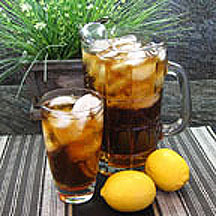 Our family-favorite iced beverage is served nearly everyday with noon and/or evening meals. What could be easier? 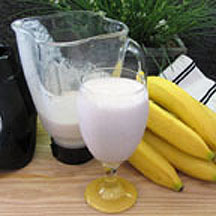 Cold milk and a frozen banana create a thick and creamy smoothie that's as simple to make as it is yummy—and kids love it!